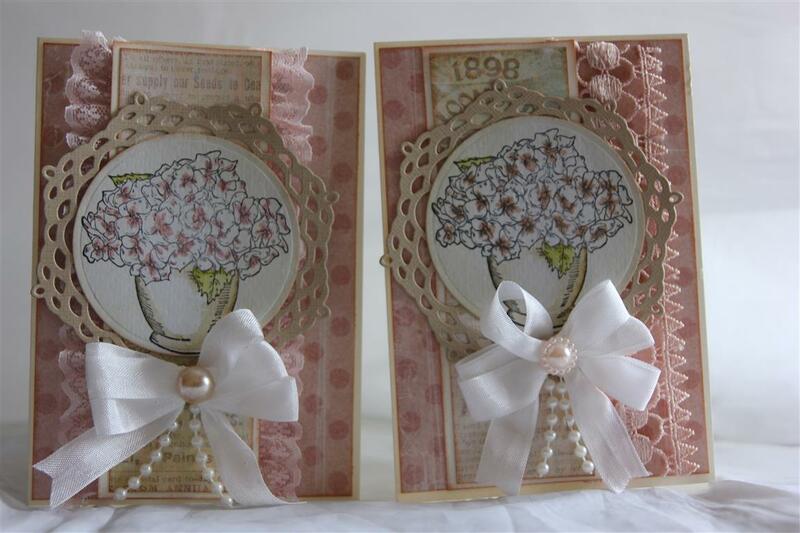 Here are two more cards I made with the watercoloured images ( a stampin up stamp and distress markers). 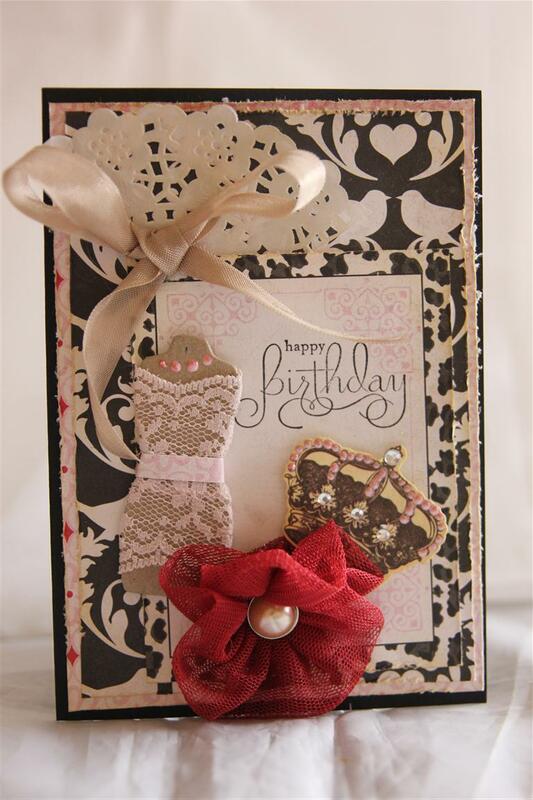 This time I die cut a doily ( spellbinders I think) and die cut the image as well . I tied my seam binding in a triple bow – I used a bow maker to do this – no way would i manage that without it! 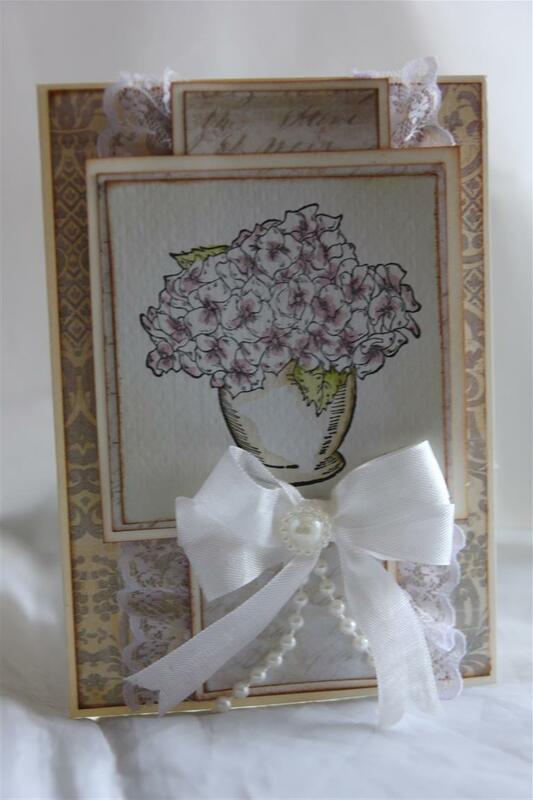 and added lace and pearls to finish.I love this style, and could make these kind of cards all day long!Til tomorrow…. 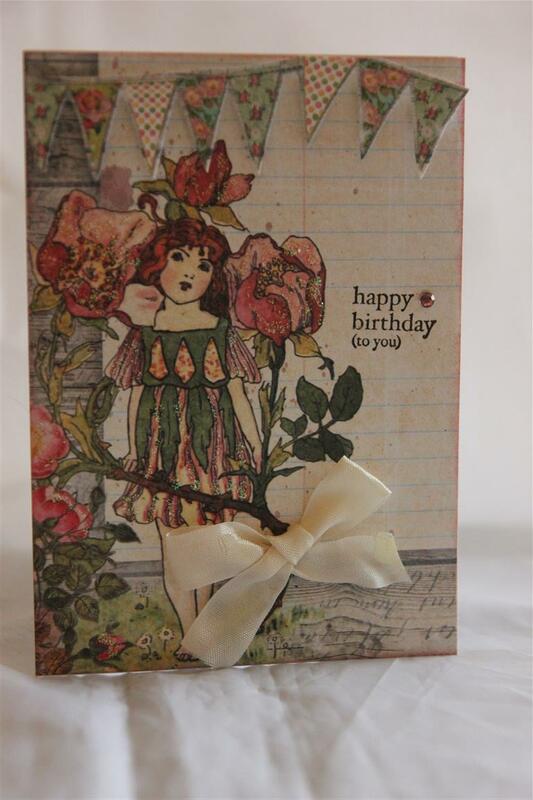 This is the second to last October Afternoon farm Girl card. 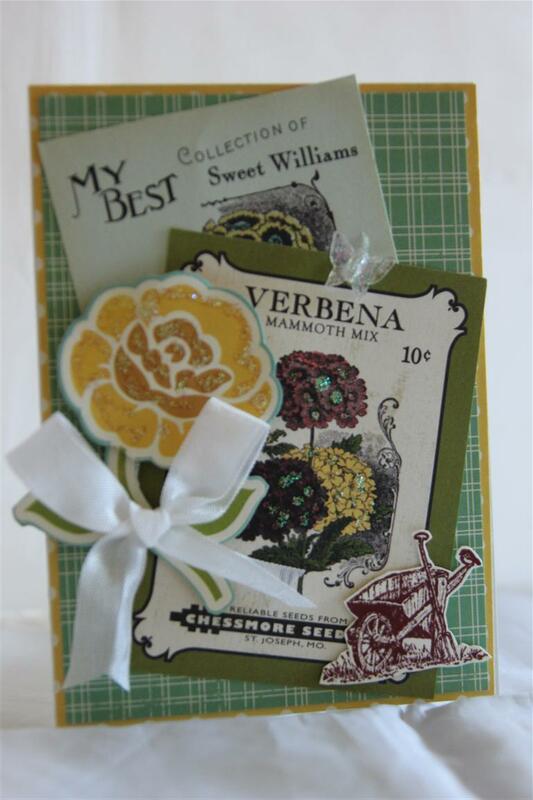 I layered a couple of papers, fussy cut one of the flowers from another sheet, and added two of the seed packet images. 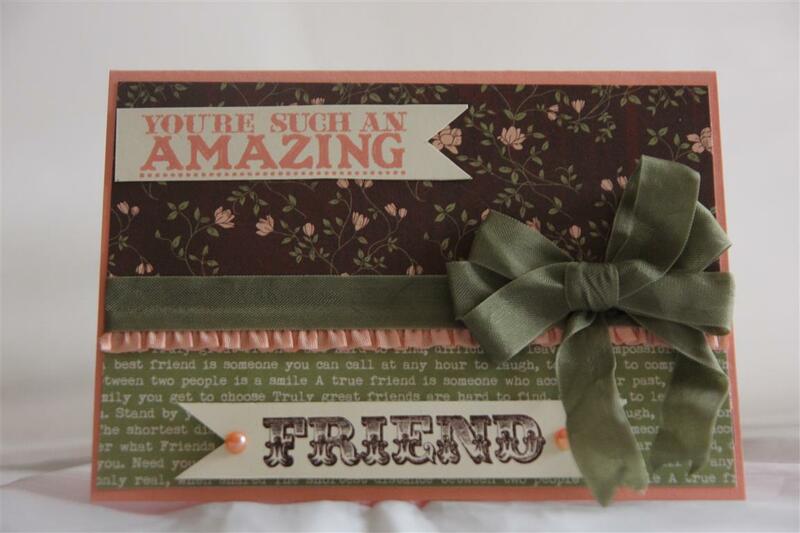 I finished with seam binding, and a wheelbarrow stamped from my Stampin Up Countryside stamp set. 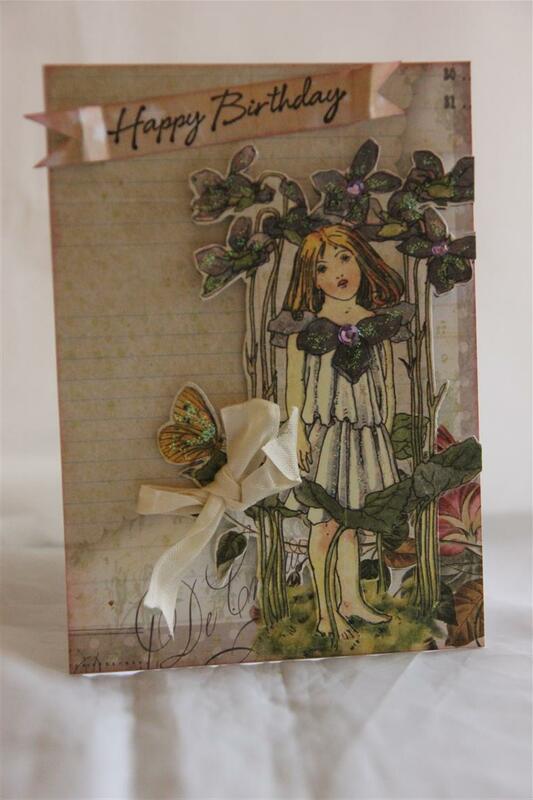 quick post tonight as its shopping night, til tomorrow…..